Certified Credible Leadership I (CCL I) is the first leg of an educational journey designed to provide a comprehensive introduction to leadership, ethics, character, supervision, communication and self-development. It also serves as a complete review for students who have participated in leadership education programs previously. CCL I is based on the principle that all law enforcement professionals must lead within their scope of responsibility and must be given the tools to understand what leadership looks like, feels like and sounds like. It is designed to fill the void of leadership training which traditionally exists between entry level and mid-level supervision. CCL I stresses the importance of understanding the true definition of policing and how participant’s actions and their organizational mission must align with that definition. This curriculum introduces participants to the expectations and responsibilities of first-line and mid-level supervisors and the concept of “Leading Down and Managing Up”, through a detailed summary of the best-selling book, “It’s Your Ship: Management Techniques from the Best Damn Ship in the Navy”, by Captain D. Michael Abrashoff. It takes a comprehensive look at leadership and ethics, identifying the most common ethical dilemmas in law enforcement and how they destroy public trust and individual careers. As with all Credible Leadership Phases, CCL I faculty and video lectures by select instructors are proven experts in the field of leadership and Law Enforcement who understand the importance of every employee’s role within an organization and how to influence all for positive organizational growth. “Lincoln on Leadership: Executive Strategies for Tough Times” by Donald T. Phillips. “It’s Your Ship: Management Techniques from the Best Damn Ship in the Navy” D. Michael Abrashoff. 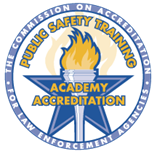 Understand the definition of Policing, Coactive Policing, Reactive Policing and Proactive Policing. Understand the difference between Mission and Vision and how to develop both in a manner which addresses operational and humanitarian concerns. Identify the Most Common Ethical Dilemmas in LE and how they affect individuals and the organization. 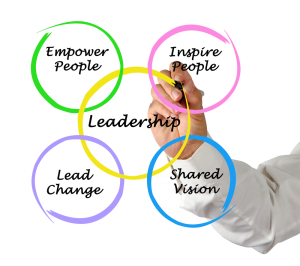 Understand how Change affects Leadership within LE Organizations. Understand the definition of Leadership and which Leadership Principles have a positive effect on organizations.